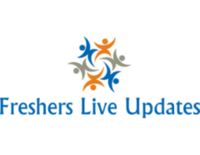 Atos Off Campus Drive B.E/B.Tech/B.Sc/BCA/M.Sc/MCA freshers 2016 for Trainee at Vadodara,Gujarat. Candidates who have completed B.E/B.Tech/B.Sc/BCA/M.Sc/MCA can apply for this job from Atos . Venue: A.D. Patel Institute of Technology, New Valabh Vidhyanagar, Vitthal Udyognagar,Anand, Gujarat 388121. Atos SE (Societas Europaea) is a leader in digital services with 2014 pro forma annual revenue of €11 billion and 93,000 employees in 72 countries. It was formed on July 1st 2011 from Atos Origin and Siemens IT Solutions and Services GmbH.Atos Origin was formed in 2000 when Atos and Origin merged. It grew steadily, not only through acquisition but also through outsourcing deals, staff and technology transfers.